Water and sewer lines are in jeopardy in Alakanuk, Alaska, where hundreds of feet of shoreline have been lost to flooding and erosion on the Lower Yukon River. KNBA presents a radio series: Climate Change and Alaska Natives, broadcast December 8-12, 2014 during KNBA Morning News at 7:30 and 8:30 a.m. The five-part series builds on our past climate change coverage. The focus of the series is on the effects of climate change on Alaska Native homelands, and the traditional practice of gathering and sharing food from the land and sea. The series explains how climate change is having more profound effects in Alaska and the Arctic than in other parts of the planet. For example, less sea ice cover in Arctic waters off Alaska is increasing the impact of fall storms on coastal communities. The storms are eroding the land and threatening infrastructure to the extent several communities need to relocate, but agencies are finding it hard to help make that happen. Warmer, drier weather is contributing to increased health problems, including injuries and respiratory disease. Melting permafrost is undermining roads, homes, and other infrastructure. Communities are developing adaptation strategies, and seeking aid from agencies. Support for climate change reporting on KNBA News comes from The Alaska Native Fund, working to advance Alaska Native priorities for protecting our land and sustaining our ways of life. 12/11/14 - Are agencies prepared for effects of climate change? Climate change and Alaska Natives: Are federal, state agencies up to the task? Today we’ll hear the fourth in a series of stories about climate change and Alaska Natives. As Alaskans grapple with the effects of a warming planet, they look to federal and state agencies to help with problems that are too big for an individual or even a community to tackle. But it’s not clear if statutes and regulations, and agency funding are up to the task. Here is the last in KNBA’s 5-part series on Climate Change and Alaska Natives. As we’ll see, the effects of warming temperatures on infrastructure can be costly and sometimes dramatic. 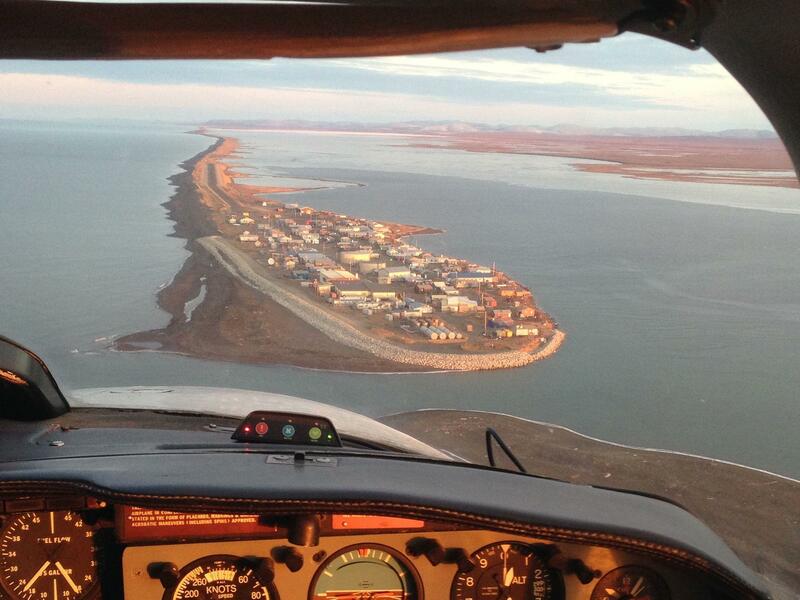 In much of Alaska, bridges, roads, buildings, and runways have been built on permafrost. That’s soil that became frozen during ice ages from 400 to 10,000 years ago, and a few feet down is frozen rock-hard year around.